What are Common Wood Destroying Organisms? When you think of wood destroying organisms, termites are typically the first insects that come to mind. These pests are famous and feared for the damage they can cause to your house, furniture, clothing, and more. But termites are only the most well-known of many invasive, wood destroying insects. There are numerous other bugs and beetles that can find their way into your home and destroy your structure and possessions, each with its own particular habits and characteristics. Other common wood destroying organisms to be aware of are carpenter ants and wood-boring beetles. When wood damage is discovered, don’t jump to the conclusion that you have a termite infestation. Carpenter ants are also likely culprits, especially in the Seattle area. While these pesky creatures don’t eat wood, they’ll bore into it and nest in damp areas like between a building’s double walls and inside doors with hollow cores. They are fans of moist, rotting wood and insulation. Undamaged wood tends to be safe from carpenter ants, but once they find a way in, the moisture created by their nesting activities increases the damage even more by causing holes and wood rot. 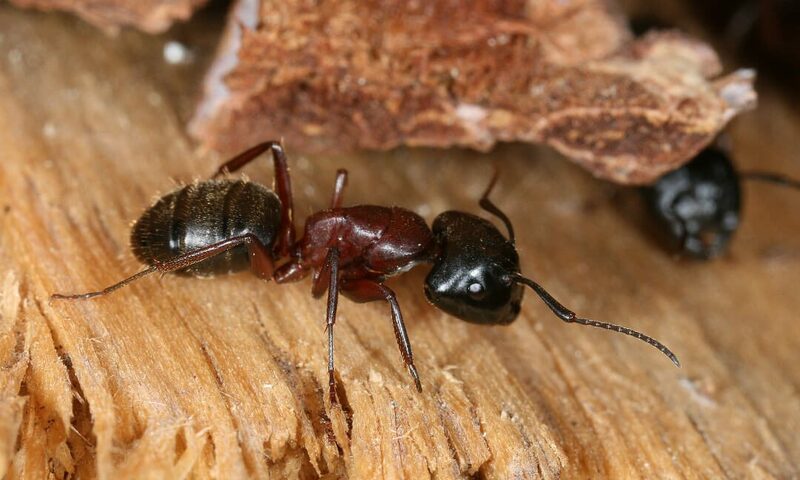 These ants are among the largest found in the United States. They are typically black in color, although the Florida variety is smaller and can be black, yellow, or red-brown. Swarmers, or winged carpenter ants, are often mistaken for termites. If spotted, this means that the colony is likely well-established. But you don’t need to see a carpenter ant to know they have invaded your home – other signs are the dust produced by their nesting and foraging activities, as well as a “rustling” sound that can sometimes be heard near areas these insects have infested. “Wood-Boring Beetles” are common wood destroying organisms in the Pacific Northwest. The term refers to a group of insects, including powder post beetles, deathwatch beetles, and false powder post beetles. All of these like to damage wooden furniture, as well as decorative and structural wood within your home. The larvae inflict the greatest amount of damage as they eat and grow; once they become adults, the beetles will chew their way out of their wooden nests and leave small holes behind. Some wood-boring beetles can also gnaw their way through plastic, plaster, and even softer metals that cover the wood as they escape. The powder post beetle is the most common of the wood-boring beetles found in the United States. Because these insects have up to a one-year life cycle, the larvae live for many months and can cause a great deal of internal damage before they emerge as adults, leaving behind the tell-tale holes and the trail of powder that gives them their name. Because of the destruction that common wood destroying organisms can cause to your home – even before you notice the more obvious signs – hire a licensed and certified Structural Pest Inspector for a Wood Destroying Organisms inspection. 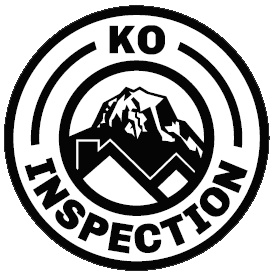 Many home inspectors will even detect signs of an infestation during a typical home inspection, which is a great reason to schedule one if you’re buying a home or you’re a homeowner who simply wants peace of mind.